Every year from March until June we celebrate books from twelve brilliant northern writers with our Read Regional campaign. Our authors are visiting libraries, festivals and schools all across the north, with over 80 events taking place this year. 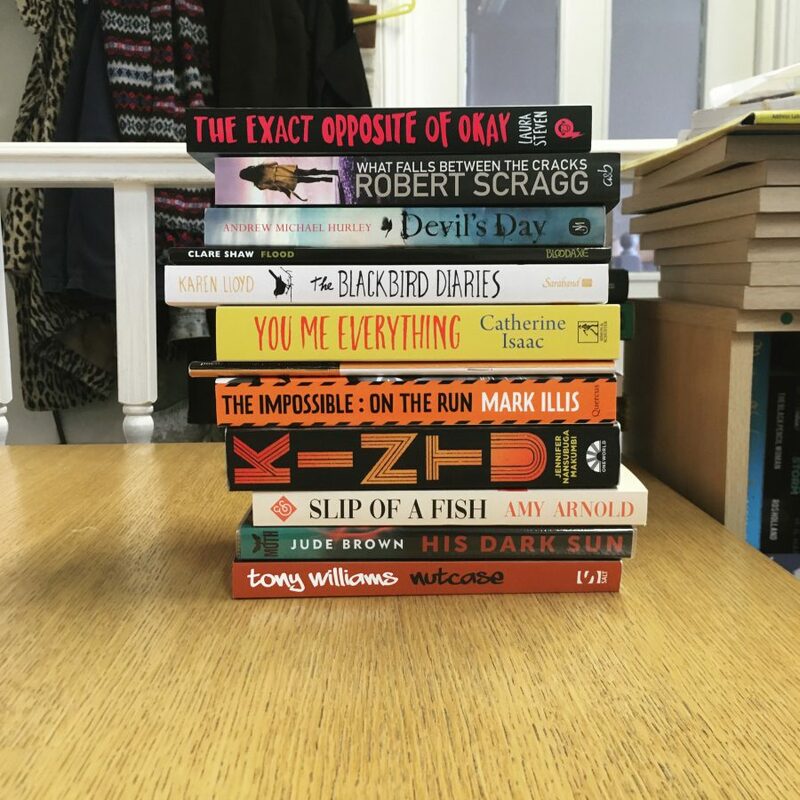 We decided to each get our teeth into one of the Read Regional books – find out more about each book here. I opted for The Black Cab, the debut pamphlet from North East-based poet John Challis. Despite being a Read Regional pick, this is a collection whose heart beats in London. In The Black Cab, Challis introduces us to his father, a taxi driver in the capital. Challis frames the collection by likening him to Charon, the boatman of Hades who ferried the souls of the dead across the rivers Styx and Acheron in Greek mythology. Death sits in the passenger seat throughout the ride. I was struck by the morbid quality of many of the poems, from the “partly butchered” of Smithfield Market, to a taxi rank purgatory; and the unearthing of plague victims’ skulls buried beneath the ground in Farringdon. Yet having recently lost a parent, it was Challis’s poem The Last Good Market which resonated with me the most – touching in its tender contemplation of the “compromise” many agnostics like me find themselves reaching for when thinking about what lies beyond the edge of life. As the poet points out, vocation is not always hereditary. Nonetheless, Challis takes after his father in steering us skillfully through the criss-cross streets of the capital and beyond, taking detours in B-road Little Chefs and even Gateshead’s own Hills Street on a winter’s day: “the kerb a scum of Durex and chips”, where two lads “glide like skaters across a frozen Tyne”. This is a collection which leaves much to think about. I was left pondering the time many of us have spent in taxi cabs, and the murky secrets their drivers bear witness to, spilling from the backseat in the hush of night. In The Blackbird Diaries, Karen Lloyd takes us through four seasons of observation of the natural world in a compelling diary format. The book is not only about blackbirds, gorgeous as they are, but also features robins, swifts, egrets, geese and other birds who we grow to know, imagine and understand through the insightful and precise descriptive writing. The landscapes are portrayed wonderfully evocatively too, from Karen’s back garden to the valleys of South Lakeland, though my favourite parts of the book were the sections in Mull and Staffa. This book is not only for specialists or enthusiasts of nature writing, but also for people (like me) who find joy in watching birds feeding in their garden and singing their morning songs. I’ll preface this review with a warning: Nutcase is definitely not for the faint of heart. The novel pulls no punches, following Aidan Wilson, a Sheffield boy who gradually gets deeper and deeper into the world of drugs, drink and crime. While ultimately well-meaning at heart, Aidan is cursed with bad luck (paralleling the events of the original saga that this book is based on). The court of public opinion eventually shifts him from hero to villain, and his actions finally catch up with him in a horrible but gripping finale that I really couldn’t put down. It felt very similar to watching a car crash, and yet I couldn’t pull my eyes away. 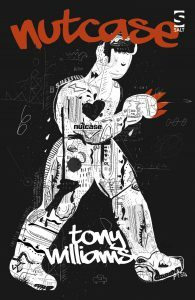 Based on the Icelandic saga of Grettir the Strong, Tony Williams expertly relocates the tale to the modern setting of northern England. I had never heard of the saga before reading Nutcase for Read Regional, but this book has definitely piqued my interest into researching the original. Robert Scragg’s What Falls Between the Cracks immediately heads into the action, grabbing you with a bizarre mystery that at first seems unsolvable but slowly unravels into a cryptic web of drugs and organised crime. A woman’s severed hand is found in a flat that’s apparently been untouched since the early 1980s, with sparse leads for detectives Jake Porter and Nick Styles to follow on. In order to crack the case, Porter and Styles have to use some old-fashioned detective work to find out just what happened to Natasha Barclay, and how she seemingly fell completely off the face of the earth. This was a great read and I can’t wait to see Porter and Styles again in Robert’s upcoming sequel Nothing Else Remains. Kintu is an epic multi-generational novel set in Uganda that kicks off with a brutal contemporary murder. We then flash back in time to when a tribal leader kills his son mindlessly, leading to their descendants being cursed for several generations all the way up to the present day. Split up into several sections, Jennifer Nansubuga Makumbi writes in a really effortless way and I loved the use of multiple varied perspectives of several generations of the family. Dark and nuanced, I’d definitely recommend Kintu for anyone who wants to get their teeth into a deeply engaging read. Izzy O’Neill is one of the most refreshing heroines I’ve met for a long time. In fact it’s almost for this reason that Laura Steven’s debut novel is both shocking and enraging. ‘The way the world treats girls is not okay. It’s the exact opposite of okay’ is not in itself a new idea, yet it’s so rare that we meet a girl like Izzy in print: honest, strong and unapologetic (I also enjoyed her humour and dorkiness). This book is a must-read for fans of YA, but also for all women who consider themselves feminists. The sequel, A Girl Called Shameless, is out now. Take the best elements of a road trip buddy movie, add in a comic book aesthetic, a smattering of sci-fi, superhero mutations and the odd zombie or two, and The Impossible: On the Run (the sequel to The Impossible) makes a breathless adventure story for young teens. Behind all the action, this is also a novel with heart, that succeeds in its own quirky way to make sense of friendship, relationships and the innate weirdness of our teenage years. Catherine Isaac is a Liverpool-based author who had previous success writing under the name Jame Costello. 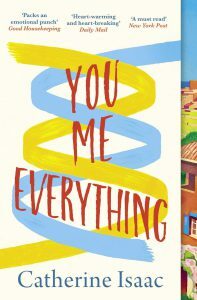 You Me Everything is the story of Jess, who is raising her ten-year-old son William alone, while caring for her mother who is in the late stages of Huntington’s Disease. When Jess’s ex-partner Adam, who has been largely absent from their lives, invites her and their son to spend the summer with him at his idyllic hotel in the French countryside, their lives are changed for ever. This book is easy to read and filled with wry humour, however, it also covers some serious issues relating to love, relationships and the challenges of living with a long-term health condition. 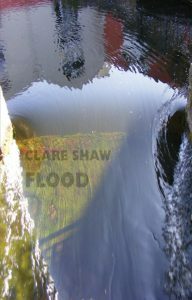 Flood is the third poetry collection from Clare Shaw. The inspiration behind the collection is the floods that struck in 2015 that left large parts of the UK underwater, including Clare’s town in the Calder Valley. The collection not only examines the literal devastation of the floods, but also delves deeper into personal ruin, survival and rebuilding. The collection is a passionate exploration that is brought together by the visceral imagery displayed in Clare’s writing. The first time I heard about this book was during the otherworldly summer of 2018, where even up North we were basking in the garden at every opportunity. It was unnerving to say the least: His Dark Sun is set in a near future London, which now exists in an endless heat wave. However, if I was initially racked with stress about global warming and the impending doom of our civilisation, this book soon distracted me. We follow Luke Spargo, a nineteen year old loner convinced he’s the only one who understands why the sun is changing, and how to stop it. Fast-paced and full of twisty characters, this is a must read for thriller fans. 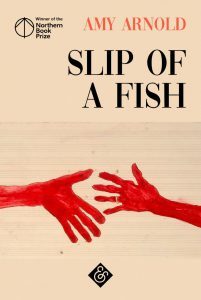 Winner of the inaugural Northern Book Prize, Amy Arnold’s Slip of a Fish has been described by the Guardian as an ‘ambitious, original novel’. The story follows Ash and her daughter Charlie across one summer. Worried that her Charlie is slipping away from her, Ash commits an unforgiveable act and struggles with the repercussions. Ash is a complex character, often unreliable, and it was interesting to read from her perspective; she is obsessed with words and patterns and so the writing style reflects it. The book can be challenging, both in untangling the hidden truths and in the topics discussed, but ultimately it is a an fascinating portrayal of love and motherhood. John Pentecost returns to the remote dilapidated sheep farm of his childhood for his grandfather ‘The Gaffer’s’ funeral. While there with his pregnant wife he feels the need to return permanently to the harsh, unforgiving landscape of his ancestors. With his beautifully written, brutal descriptions of Lancashire’s uplands Andrew Michael Hurley evokes a violence that pervades the landscape – it may even be the Devil himself.